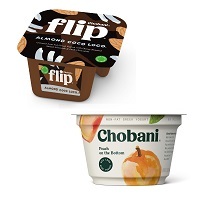 Savvy Spending: Meijer: Free Chobani Coupon to clip to your mPerks account! Valid through 3/3! Meijer: Free Chobani Coupon to clip to your mPerks account! Valid through 3/3! Wow! Chobani is rolling out the freebies! You can also load a coupon to your Meijer mPerks account for a FREE Chobani Yogurt, Flip Greek Yogurt, Drink, or 2-Pack Chobani Smooth. This eCoupon is valid through March 3rd and can only be used once.